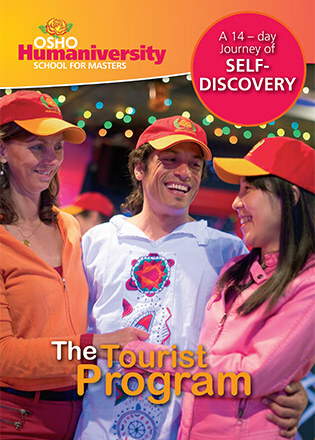 For over 30 years the Tourist Program has guided thousands of people in transforming and redirecting their lives. In this 14-day residential program, you will actively participate in changing your life. You will define the areas you wish to focus on and the goals you want to achieve. The only thing you have the power to change is yourself. Our goal is to help you to release your emotional burdens so that you can be free to enjoy life to the fullest. To prevent you from bumping into the same obstacles in the future, we will also guide you to become aware of your behavior. Once you begin to identify your strengths and work through your weaknesses, you will have more choice about how you respond to challenging situations in the future. We will give you opportunities to take positive risks and ask for and receive the love that you need. You will no longer be at the mercy of your reactions and judgments. You will begin to master your life. A powerful catalyst to your personal growth will be your fellow Tourists. Through working and living together, you will see yourself through the eyes of others. With their feedback you can begin to grow and expand. "This is a deep emotional odyssey, and it is balanced with many loving and caring friendships." The program is highly structured with an almost around-the-clock schedule aimed at keeping you as active as possible. By keeping your mind and your body occupied, your heart will have the space it needs to open. You start with an early wake-up for an active meditation with other members of the community. This is followed by breakfast and house cleaning. A group session before lunch gives you the opportunity to work on emotions, and after lunch there is time for a beach walk or visit to the village. In the afternoon there is a bodywork session or sharing with the Tourist Program Leader and your fellow Tourists. After dinner there is an evening class. This is followed by time in the Boozeria, our famous nightclub, where you can talk with friends and dance till early in the morning. Alternatively, some days end with sauna and massage, or a cappuccino or snack in our coffee shop. The participants of the Tourist Program form a close 'family' within the community of the Humaniversity. You will move, wake up, dance, express, eat and share together. Living and working so closely with others will bring up feelings, and these can be worked out and healed in the sessions. By living communally instead of behind closed doors, you will get to know each other very quickly and be able to give each other the support that you each need. Please call us at +31 (0)72 506 4114 to register. What kind of family did you have growing up? How was your relationship with your brothers, sisters and parents? Were there any shocking experiences (loss of loved ones, hospitalization, etc.) in your life? Do you have friends or intimate relationships? How close? For how long? How do you see yourself now, and how would you like to be in the future? We recommend that you get to know our work by participating in an Humaniversity workshop or AUM Meditation prior to enrolling in the Tourist Program. You will begin the Tourist Program with an intake interview to review your life story and identify the issues that you would like to work on. The price includes food, accommodation, two weekend workshops and intake interview. The Tourist Program is ongoing throughout the year. You can start any day, Monday through Friday, except during the WOW Intensive (mid-July to mid-August) and the Coming Together (end of December).